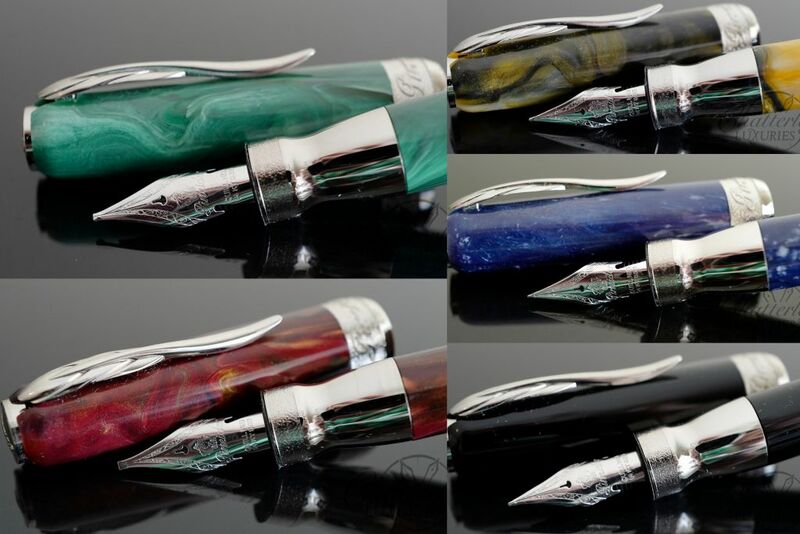 This pen is on consignment but is in like new condition. It comes complete with box and papers. 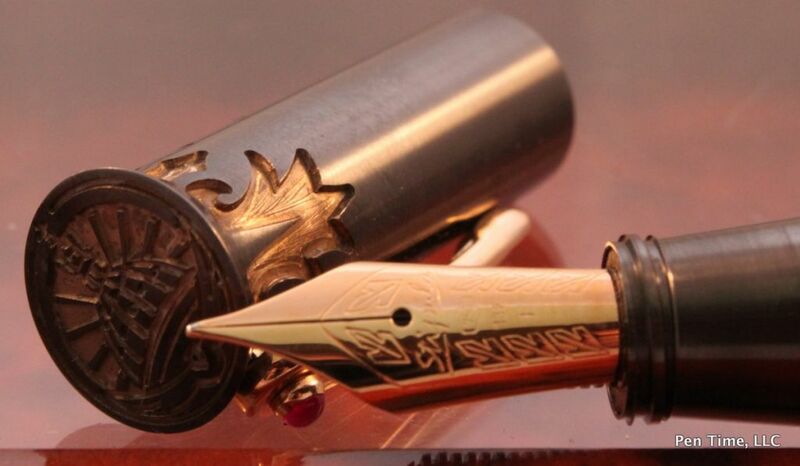 It is equipped with a 14k Medium nib. The differing patterns make each piece unique. The clip and rings are plated with 24kt gold.